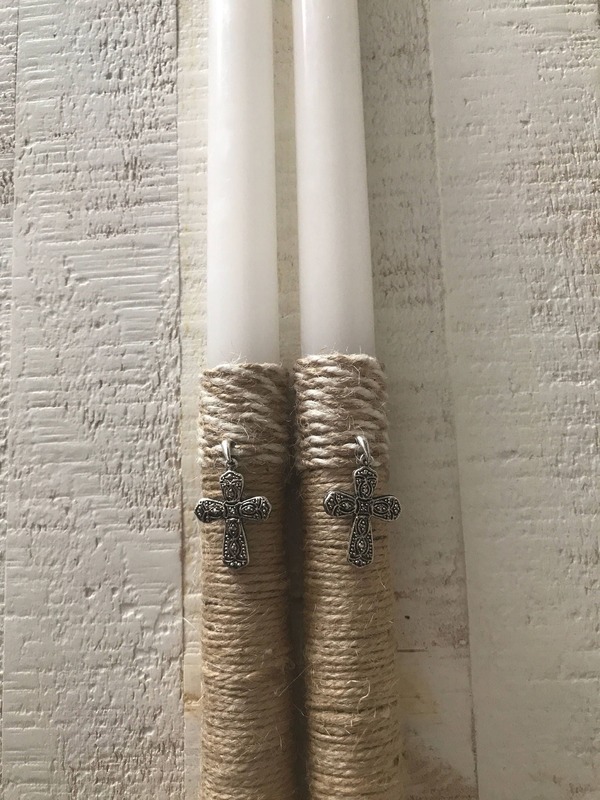 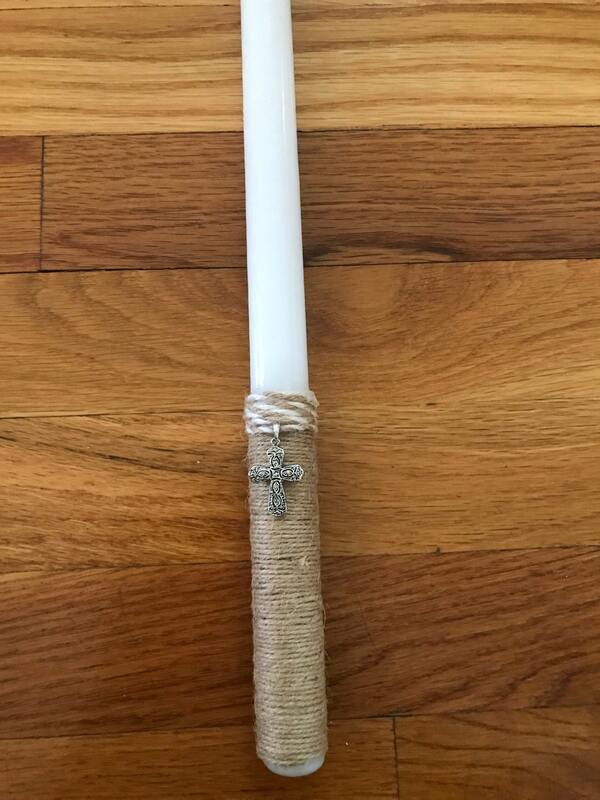 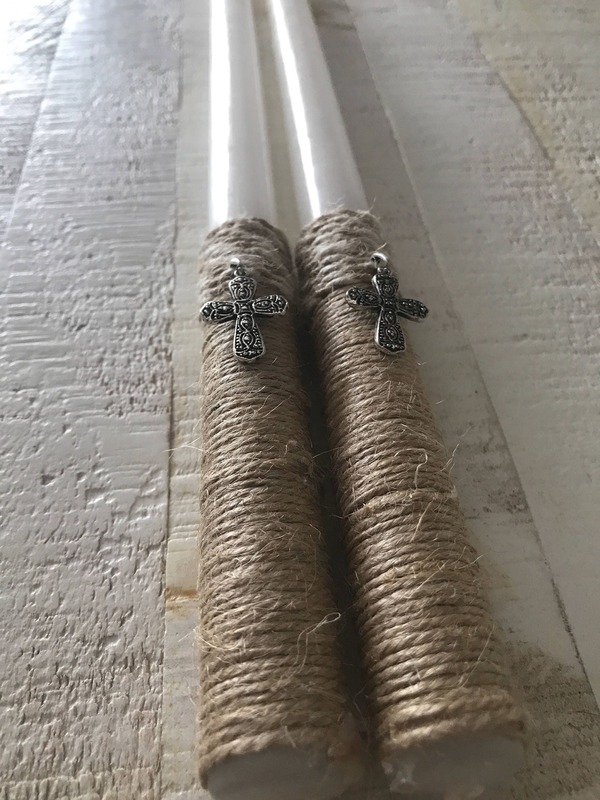 Two white taper candles wrapped delicately with beige twine beautifully decorated with a cross. 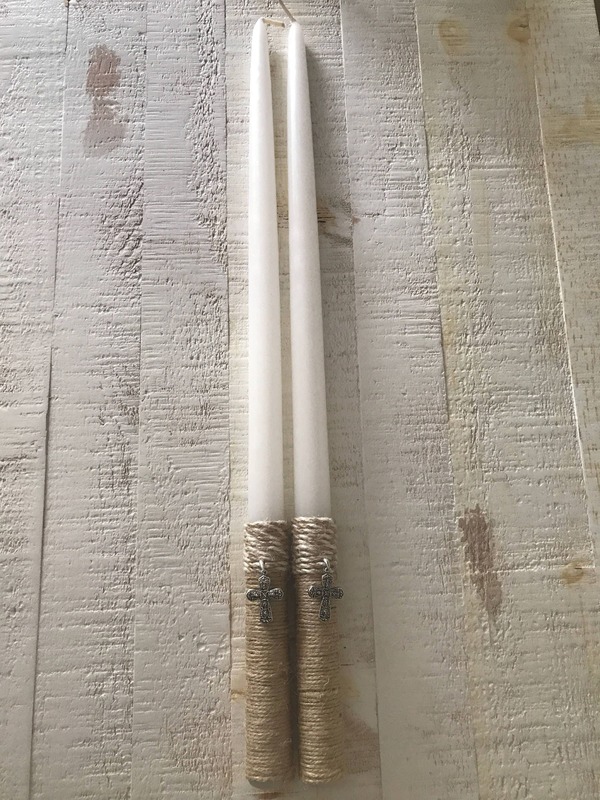 These rustic wedding candles are perfect for the couple that are in love with the outdoors and nature. 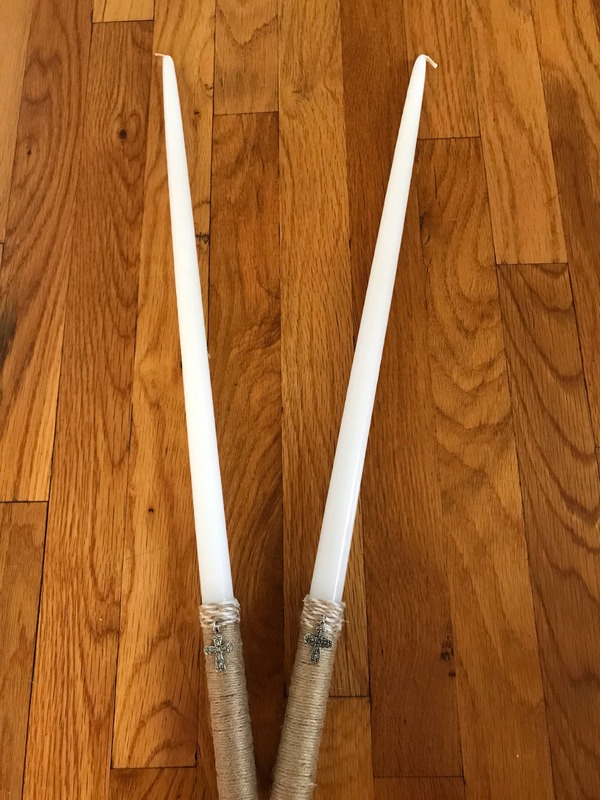 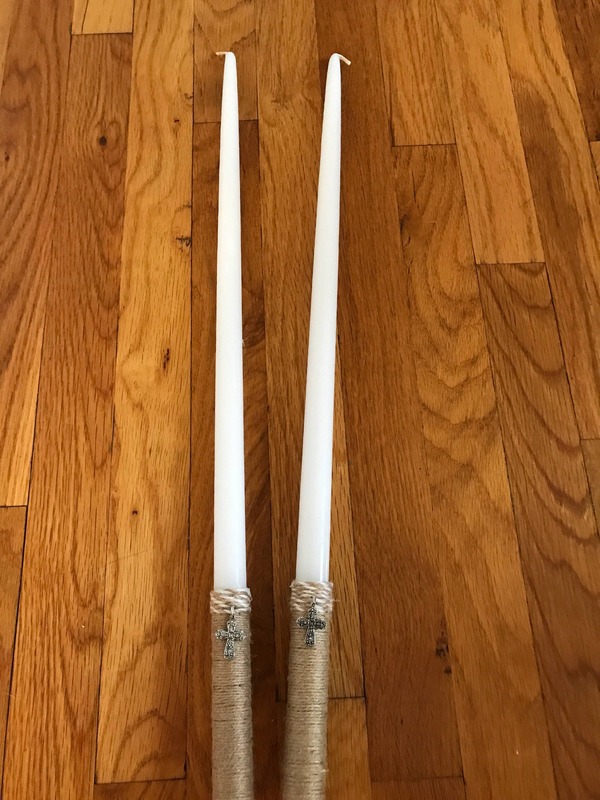 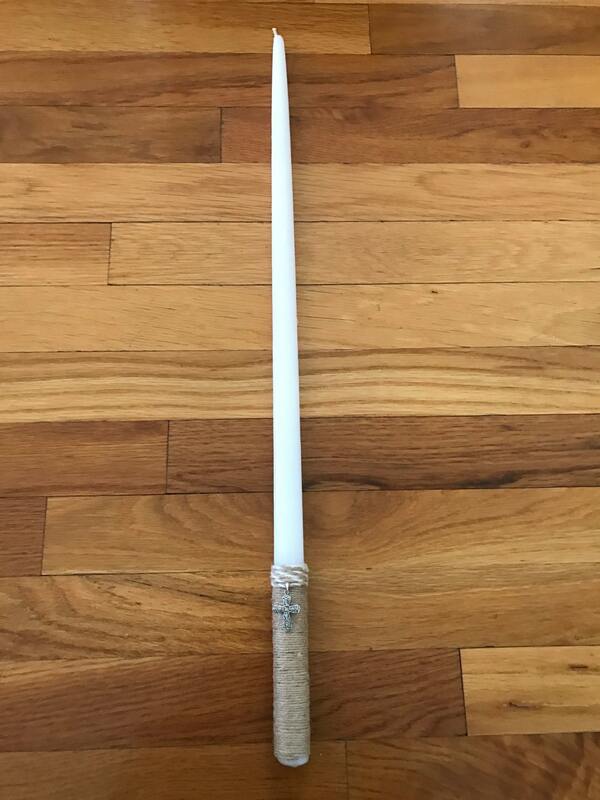 These candles are perfect for a Greek or Eastern Orthodox wedding.